Today, with this post, the Buttonhole stitch lessons come to an end! It's been an avalanche of information about this stitch this month and the best way to digest all of this data is to stitch it out! That's why today I prepared this free PDF pattern for you to practice the buttonhole stitch and become best buddies with it. Here we are, back to the buttonhole - the stitch of this month! I call it the most versatile among all of the hand embroidery stitches, and there is a reason for that. 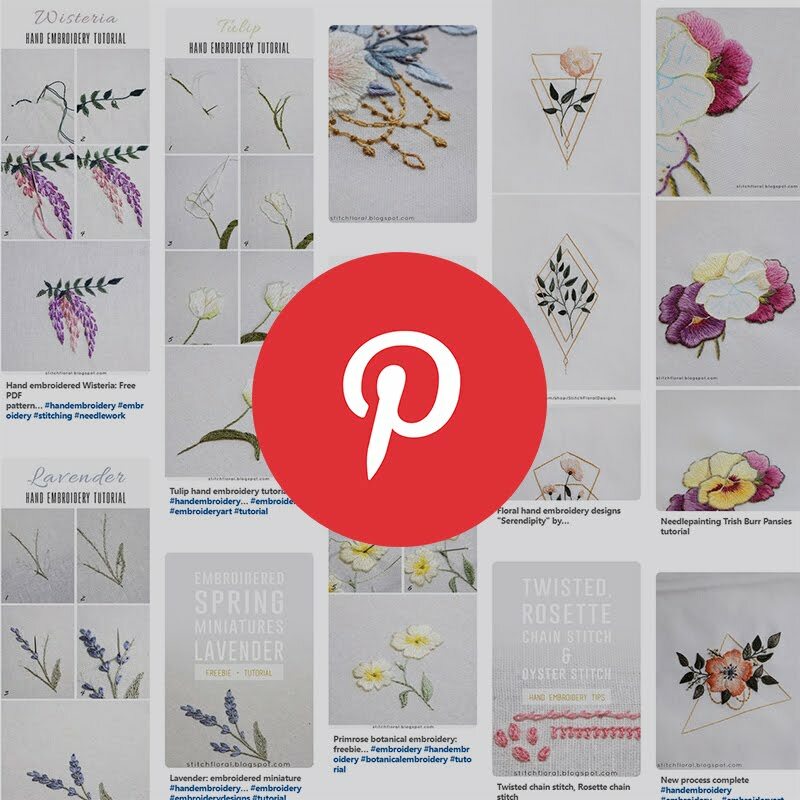 As I mentioned earlier, the buttonhole stitch can be used for attaching an applique to the fabric and for creating an outline or a border (using the variations of the buttonhole stitch). But the versatility of this stitch doesn't end here! Now, let's get to the business and see how the buttonhole stitch works as a filler. In my honest opinion, books are one of the best ways to invest in yourself, your skill and knowledge. When anyone asks me what would I like to get as a present, a book is one of my first choices. 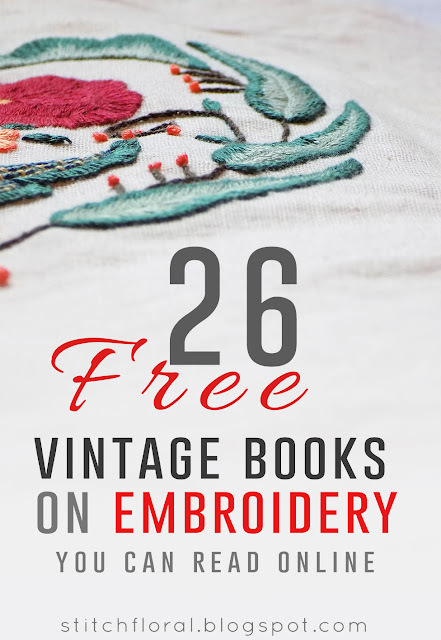 And as a hand embroidery lover, I can't overrate the worth and value of books with good instructions and inspiring designs. So, if the budget allows, I would definitely recommend spending some cash on creating a good embroidery library. 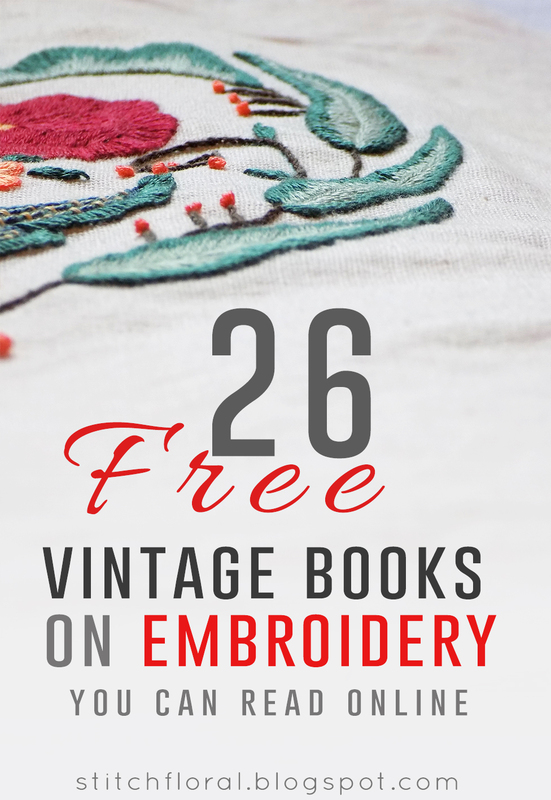 Well, there is a way to treat yourself with embroidery books absolutely for FREE! 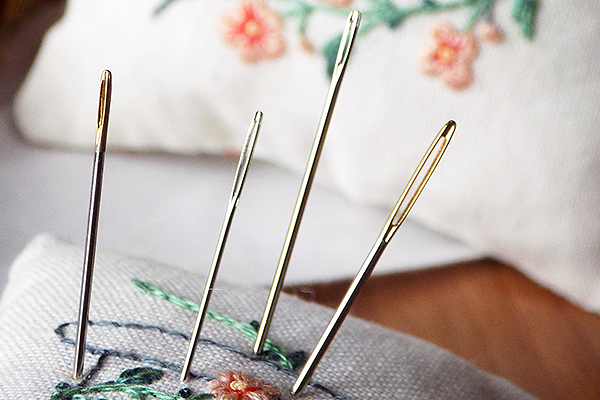 We already looked at the basics of the buttonhole stitch along with its functions and spoke about the confusion between the names “blanket stitch” and “buttonhole stitch”. 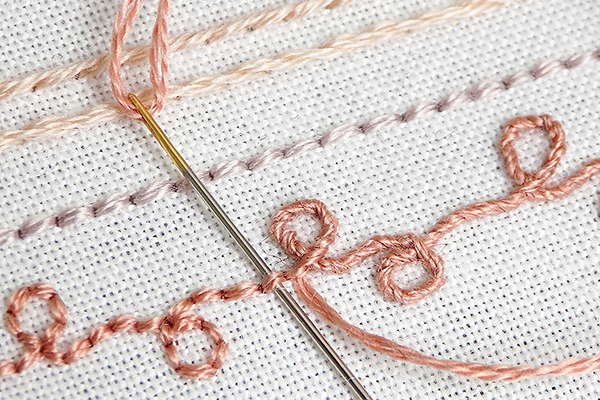 Now, one of the remarkable characteristics of this stitch is that it has a TON of variations. All of them are worth attention but mentioning every single one would make this post super long. 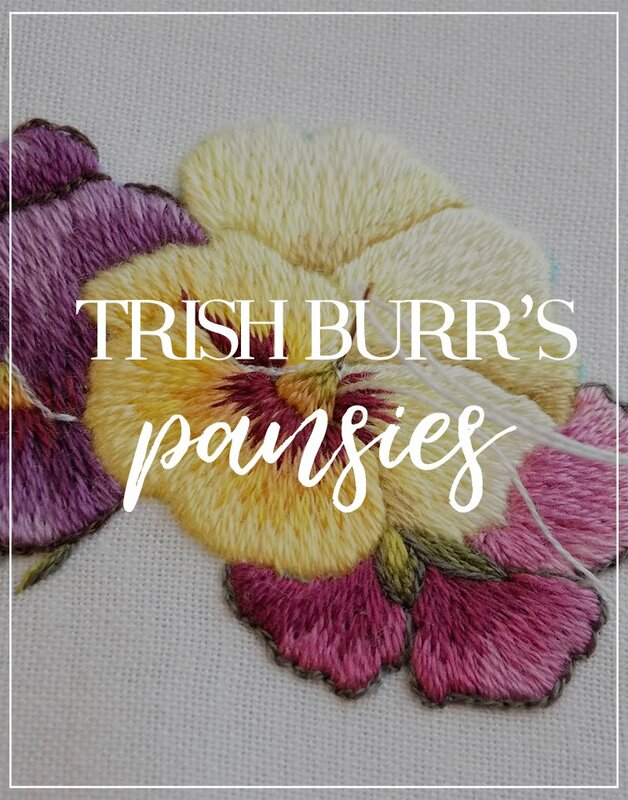 So for the starts, I decided to stop at the three most popular variations: closed buttonhole stitch, crossed buttonhole stitch and knotted buttonhole stitch. 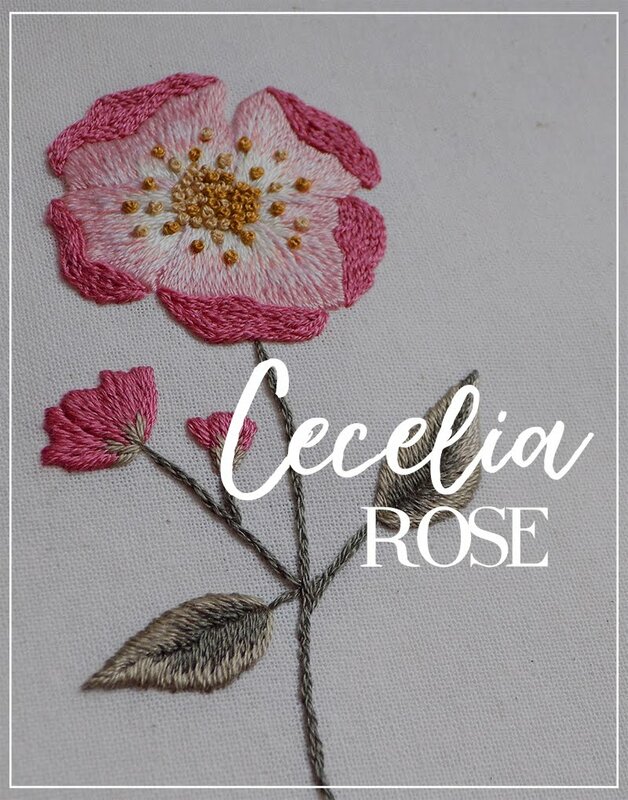 Imagine, coming to your workplace having all your favorite thread and fabrics lined up in front of you, this wonderful art is taking you away from the routine of your daily life, you get in the rhythm of stitching and forget about all the troubles when suddenly... THAT happens. 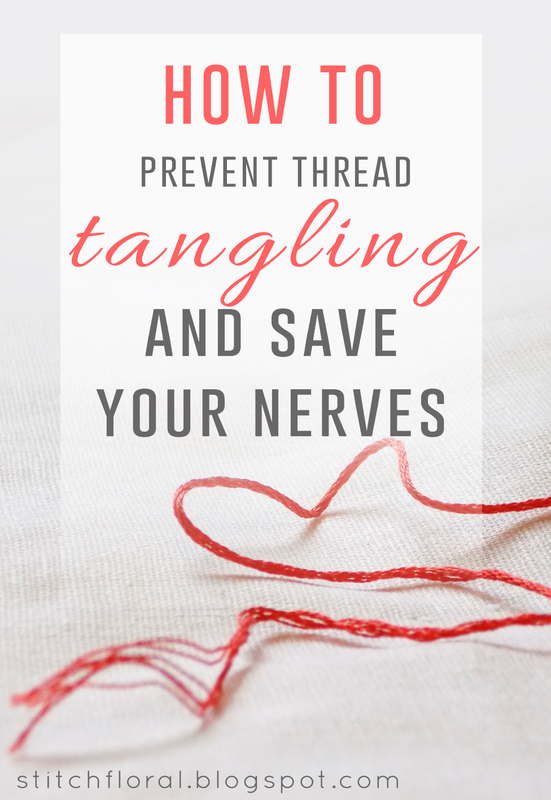 The perfect embroidery session is spoiled by an ugly knot on your thread! Ugh. I don't think there is any stitcher who doesn't hate the knots on a thread. This is plain frustrating! And it's cool if you can untangle it easily, but when they are too messy and huge, or they happened long time ago on your backside and you noticed it late... That is so not fun. I think the best way to fight with this problem is to take precautions on early stages. 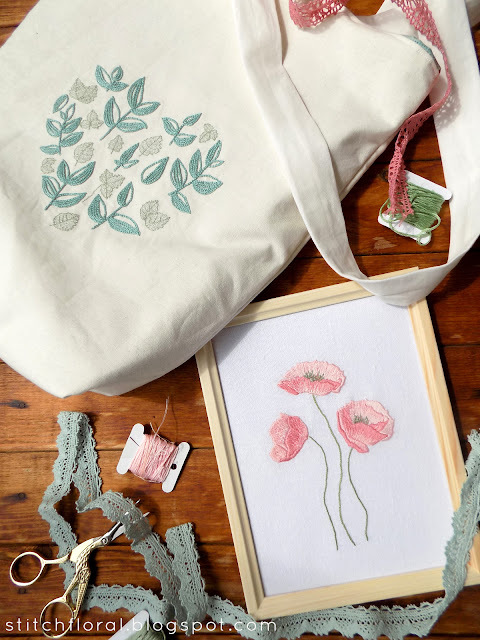 Like starting from the moment you prepare your thread for embroidery. 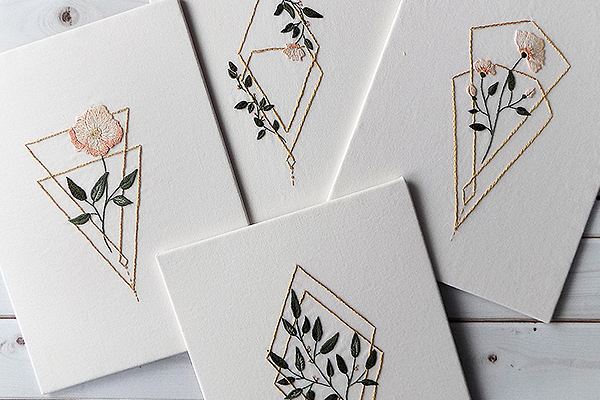 Needles are the tool that hand embroidery can't do without. And that tool raises many questions in the minds not only of beginners but even experienced stitchers. So, what are the top things we should know about the needles? Buttonhole one of the basic stitches in hand embroidery which actually forms a whole family of loop stitches. 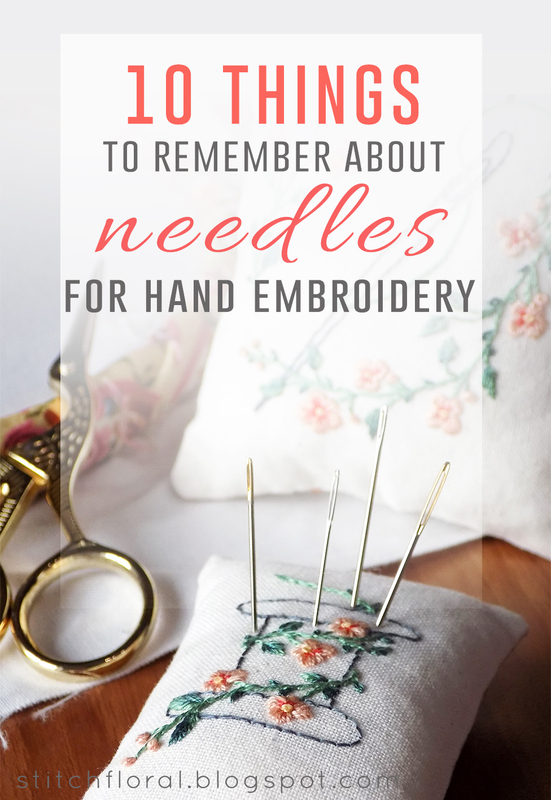 It is really handy, so I strongly believe that learning it is essential for a needleworker. 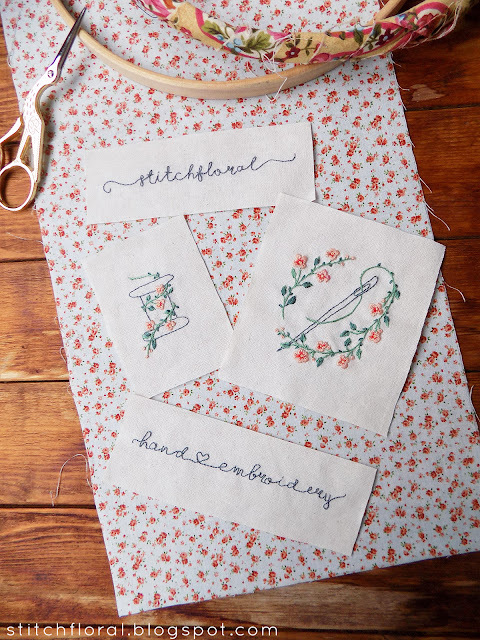 the tips for getting the buttonhole stitch right. Last couple of days I was busy with these miniatures. The idea came all of a sudden as soon as I decided to make new pincushions. No matter the weather, summer is finally here and the last month of spring already waved goodbye. 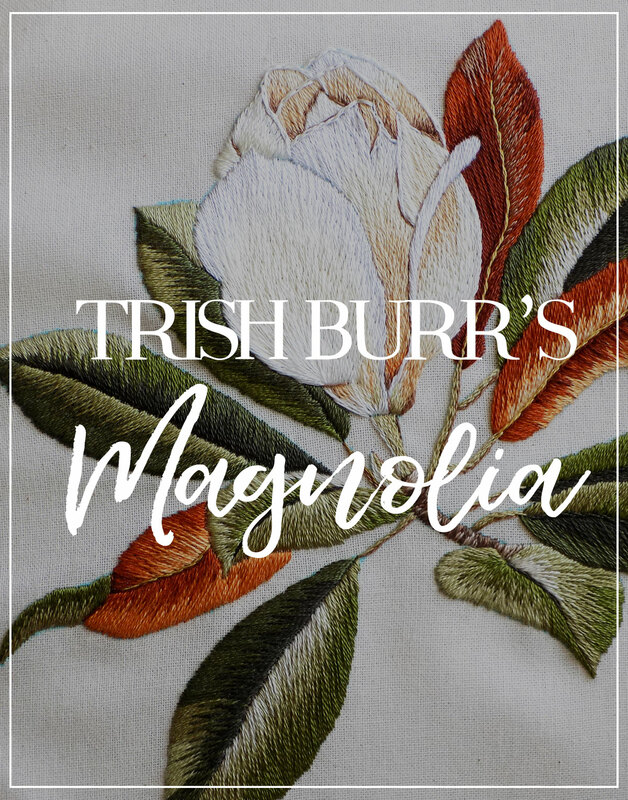 So, it is a good opportunity for summing up everything that happened on StitchFloral during May. Hi! My name is Amina. 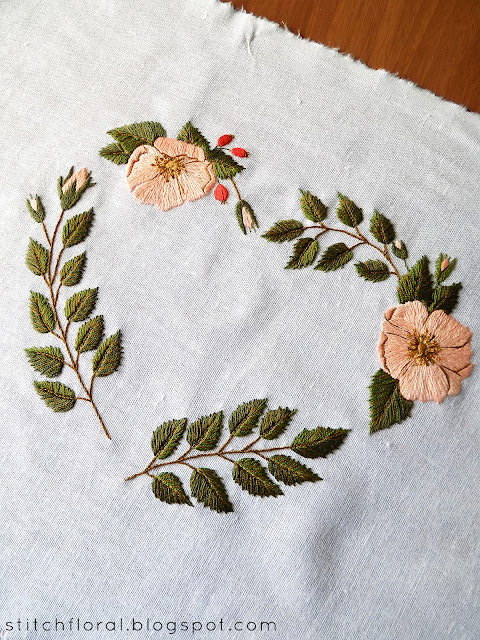 I'm a lover of handcraft, and especially hand embroidery. Have fun reading and stitch along!